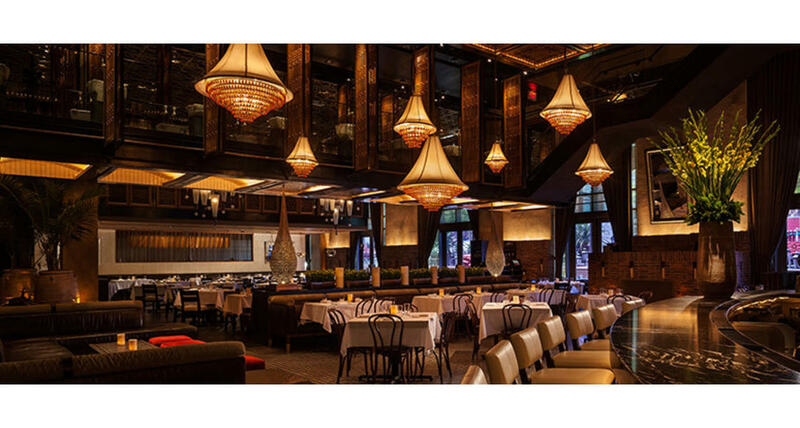 Lavo Italian Restaurant is the latest hot spot from the creators of TAO Asian Bistro, TAO Nightclub & TAO Beach, and has become a Las Vegas celebrity haunt that has hosted a long list of star-studded evenings. Chef Ralph Scamardella and his team treat guests to a culinary journey with selections of classic Italian dishes. Signature highlights include Baked Clams Oreganato, featuring Littleneck clams with toasted bread crumbs and garlic butter; Heirloom Tomato Bufala Mozzarella, and the famous over-sized Kobe Meatballs. LAVO also features a wood burning brick oven, producing some of the best pizzas in Las Vegas. Located directly on Las Vegas Boulevard, LAVO's terrace (available for dinner, cocktails and private events) overlooks The Strip, affording a spectacular view of Las Vegas. With over 20,000 square feet of space, LAVO Offers a multitude of indulgent entertainment experiences. Guests can start or end the night with cocktails in one of the sexiest lounges in town, or enjoy incredible Italian cuisine in one of the warmest fun-filled dining rooms around. Above the restaurant, the award winning LAVO Nightclub boasts one of the most intimate, yet energetic dance floors in Las Vegas, surrounded by lush table seating and an expansive bar.